Keywords: Stochastic partial differential equation, Pathwise uniqueness, Bihari’s inequality. R.Durrett, Stochastic Calculus: A practical Introduction, (1996). Brent Oksendal, Stochastic Dierential Equations, Fifth Edition, Springer- Verlag. T. YAMADA and S. WATANABE, On the uniqueness of solutions of stochastic dierential equations, J. Math. Kyoto Univ, 155-167, (1971) . T. YAMADA and S.WATANABE,On the uniqueness of solutions of stochas- tic dierential equations II, J. Math. Kyoto Univ, 553-563, (1971) . S. ALTAY and UWE SCHMACK, Lecture notes on the Yamada- Watan- abe Condition for the pathwise uniqueness of solutions of certain stochastic Dierential Equations, (2013). 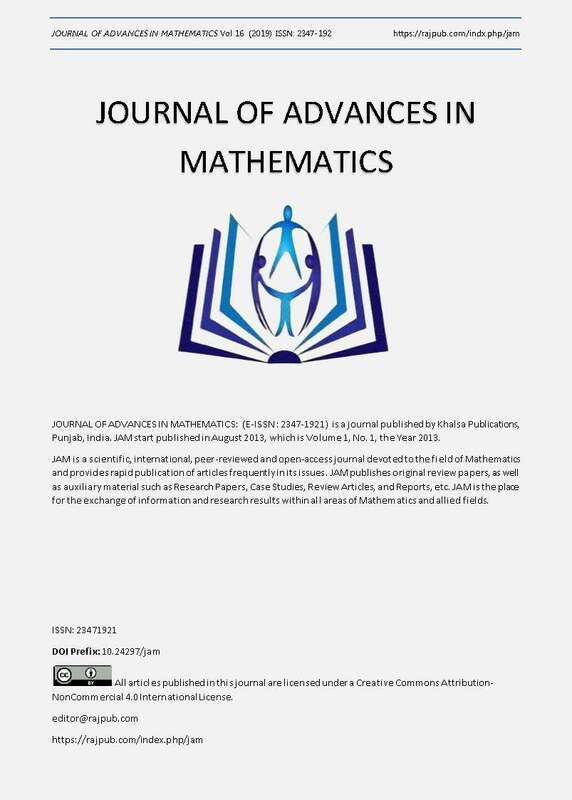 Mahmoud M. El-Borai and Farouk K. Assaad,On the asymptotic Behavior of Some Nonlinear Parabolic Systems, KYUNGPOOK Math. J, 37-42, 37(1997). Mahmoud M. El-Borai, On some fractional evolution equations with non- local conditions, International J. of pure and appl. Math. , vol 24, No. 3, 405-415, (2005). Mahmoud M. El-Borai, On some stochastic fractional integro-dierential equations, Advanced in dynamical system and application, vol.1, No.1, 49-57, (2006).